Life has become a balancing act for Adonis Creed. Between personal obligations and training for his next big fight, he is up against the challenge of his life. Facing an opponent with ties to his family’s past only intensifies his impending battle in the ring. Rocky Balboa is there by his side through it all and, together, Rocky and Adonis will confront their shared legacy, question what’s worth fighting for, and discover that nothing’s more important than family. Creed 2 is about going back to basics to rediscover what made you a champion in the first place, and remembering that, no matter where you go, you can’t escape your history. A great aspect to Creed 2 is taking on the contrasts between characters and cultures. We get an interesting look at Russian culture and the way of life for boxers. Director Steven Caple Jr. does an nice job of using symbolism through various camera shots and imagery to display the how loss and success affects the boxers both young and old. As an added bonus, we get a bit more development within the character of Ivan Drago (Dolph Lundgren) through his son. I think overall Michael B Jordan had really good moments in his performance. You’ll root for him and feel his pain when he’s down. I think his acting is at its best when he’s in a tear-jerker type of scene, or when he’s able to be himself and be slightly funny. 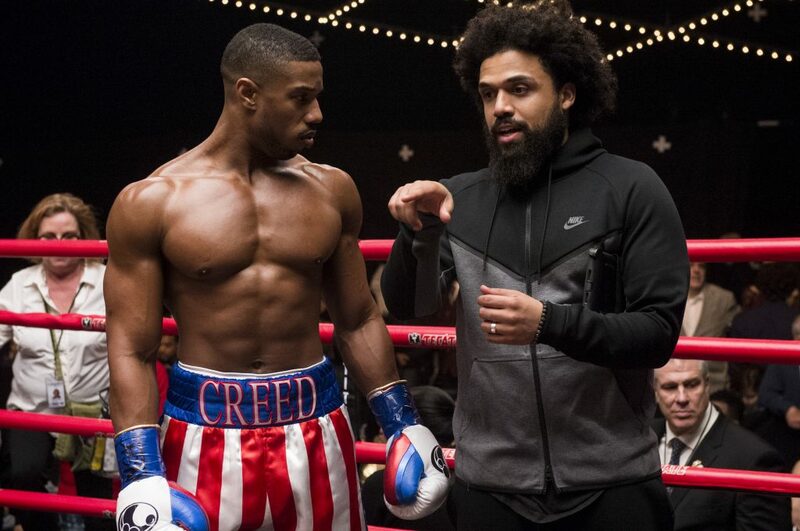 He also clearly put in a lot of hard work for Creed 2, especially during his training scenes and all. However, Florian Munteanu (“Viktor Drago”) makes everyone in this movie look like little children. His training scenes will either amaze you or scare you. Either way, he was perfectly cast for this film, and I appreciated the fact that some of his parts were limited. By having limited dialogue and smaller parts, the moments when he was featured in the movie were just a bit more effective in communicating the internal and external drama he was dealing with. a Metro Goldwyn Mayer Pictures film. Of course, Sylvester Stallone just breezes through in his role. He delivers exactly what you’d expect from him with his simplistic words of wisdom, and a couple heartfelt scenes. His character is constantly threatening to be a scene stealer in the movie because he just nails his performance so well. Last but not least, I personally loved Phylicia Rashad’s character in this film. She brought something unique to this role that I think only she could deliver. When she speaks, you listen. There’s just something about her commanding presence that makes her acting more powerful even in a minor supporting role. For you Rocky fans, there are some nice callbacks to the previous Rocky films that’ll jump start the nostalgia into full gear. Not to mention, it’ll also reopen some familiar and old wounds too. What works for Creed 2 is that these callbacks are done in a way that work for both Rocky fans and newcomers alike. The only difference is that if you’ve watched the Rocky films, you’ll have a slightly deeper appreciation for the connections and cameos that are made in this film. One of the more central elements that carries Creed 2 has to be in the recurrent dynamics of key relationships in the film. 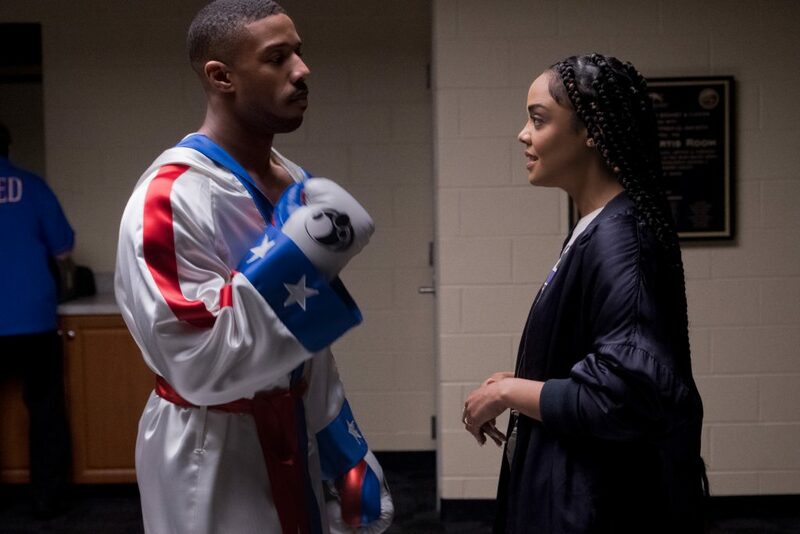 From Rocky and Adonis, to Adonis and Bianca (Tessa Thompson), to Drago and his son Victor, each relationship adds something special to the core of this entire story. This movie will certainly grab hold of your emotions and don’t be surprised if you find yourself reacting a lot to different situations. The drama will have you feeling emotional whether that be the feel good moments or the depressing ones. You might even find yourself feeling for characters that you wouldn’t normally expect to care about. Then there’s a nice blend of humor that’s cute, charming, and refreshing to lighten the mood during some of those really heavy moments in the film. You’ll get a nice kick out of the dinner scene. The fights are nothing short of being pure entertainment. The punches are bigger and harder. The intensity is raised to a much higher level than before in the previous film. The cinematography kicks in with some timely slow motion punches that helps you see the full effect of the devastating blows. While we unfortunately get fewer fights in this film, they make up for it all by infusing more drama into the actual fight. One thing you may notice is that the sound editing was done very well. It’s a bit over the top, but it really was successful in making you experience the action. You may literally wince and moan a little with every punch or cracking sound effect. 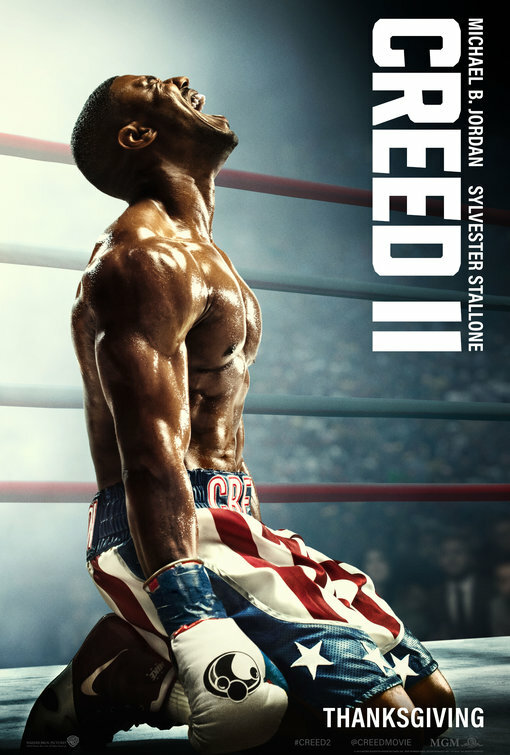 By the way, the soundtrack of Creed 2 is absolutely motivational and a must add to any workout list. It’s no “Eye of the Tiger”, but it’s pretty close and will definitely help you get that extra pump in the gym. The biggest issue with Creed 2 is that it’s entirely too predictable. You’ll know where it’s going from beginning to end, especially if you’re familiar with the Rocky franchise. The film does very little to stray away from Rocky’s story and simply just has Adonis follow the formula. We get the things we love like training montages and inspirational quotes by Rocky, but then everything else just feels like deja vu. When it came to the fight scenes, I think they’ve could’ve been done better. Unlike the previous movie, this one involves many more cut scenes. In my opinion, that make the boxing less realistic, and feel much more staged. It just comes off as advanced sparring rather than the natural flow of the fighters duking it out. While this isn’t a major problem (because it’s still very entertaining), it’s just that the first Creed made the fights look like actual fighting events, while Creed 2 gives us a typical boxing movie scene. Now this is my personal issue with this Creed film, and the franchise as a whole. So feel free to take it or leave it. I find it incredibly ironic that the main premise of Adonis’ character is to try and get out of his father’s shadow. However, at the same time, Rocky feels like a crutch for both Adonis’ character and this entire movie franchise. Creed 2 probably shouldn’t have been called Creed 2 at all. It’s more like Creed 1.5. All the rehashing and recycling of the “Rocky Formula” doesn’t really allow this movie to breathe and stand on its own two feet. There goes that irony again, because the movie itself suffers from the identity issue that the main character suffers from when it comes from having a name of its own. This was like Rocky 3 and 4, mixed in with the Karate Kid. (You’ll see your own version of Sweep the leg.) Compared to last Creed, this one trades off the action and boxing with more drama and story. As I mentioned before, Rocky is still ever present in the film in terms of the story. Creed 2 is approximately 60% about Adonis Creed and 40% about Rocky. 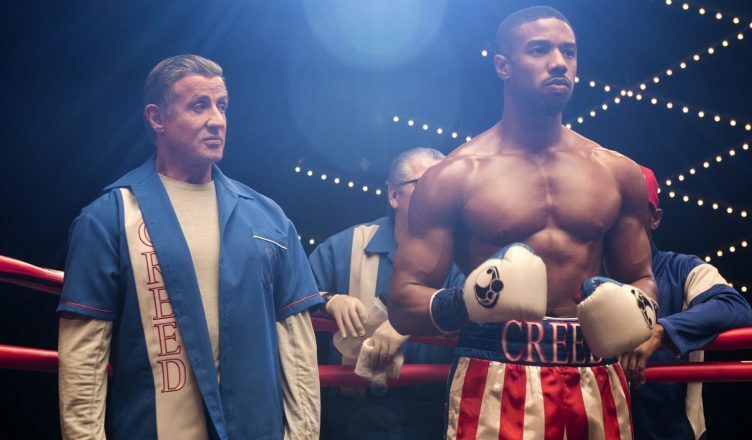 After seeing both Creed films, this constant reliance on Sly Stallone’s Rocky’s story being in these films really makes one wonder whether or not Michael B Jordan could actually carry a Creed film by himself. I was really hoping this would be the movie where he leaves the “Rocky nest” and spreads his wings and fly, but I suppose we’d have to wait and see in another potential sequel. Here’s the crazy thing about Creed 2. Despite any of its shortcomings, it’s still incredibly captivating, emotional, and entertaining. It has an amazing, complimentary blend of drama, humor, and action that will probably make you forget every single “Bad” thing I mentioned earlier. It’s most definitely a must-watch for any boxing fans, Creed fans, or movie lovers alike. Put Creed 2 at the top of your watchlist the next time you go to the theaters. Creed II is in theaters now. Be sure to follow E-Man’s Movie Reviews on Facebook, Subscribe on YouTube, or follow me on Twitter/IG @EmansReviews for even more movie news and reviews!